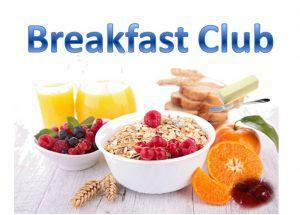 Breakfast Club is open from 7.45 am – 8.20 am, Monday to Friday term time only. We do not currently require parents to pre-book their children’s places, therefore the club can be used on an adhoc basis. We currently charge 75p per day, payment can be made daily or in advance of taking the sessions. The club is led by Mrs Smith, Mrs Yasin and Mr Shah. While at the Breakfast club your children are well cared for, warm and well fed! Current Breakfast options include toast, cereals and juices. * Children should be delivered to the front office at 7:45 am where a member of staff will greet them and lead them to the lower hall. * Any dietary needs should be reported to the office in writing. * Monies should be paid in advance or on the day. * Activities will be provided for the children after they have eaten. * Children in EYFS and KS1 are accompanied to class once club has finished. KS2 children make their own way internally to classrooms. * Heath Mount Behaviour Policy will apply during Breakfast Club.